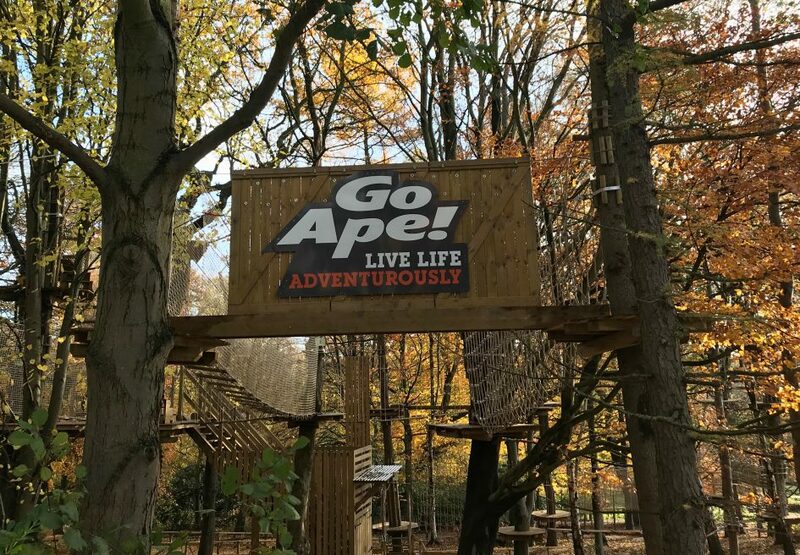 For those of you who haven’t heard of it, Go Ape! 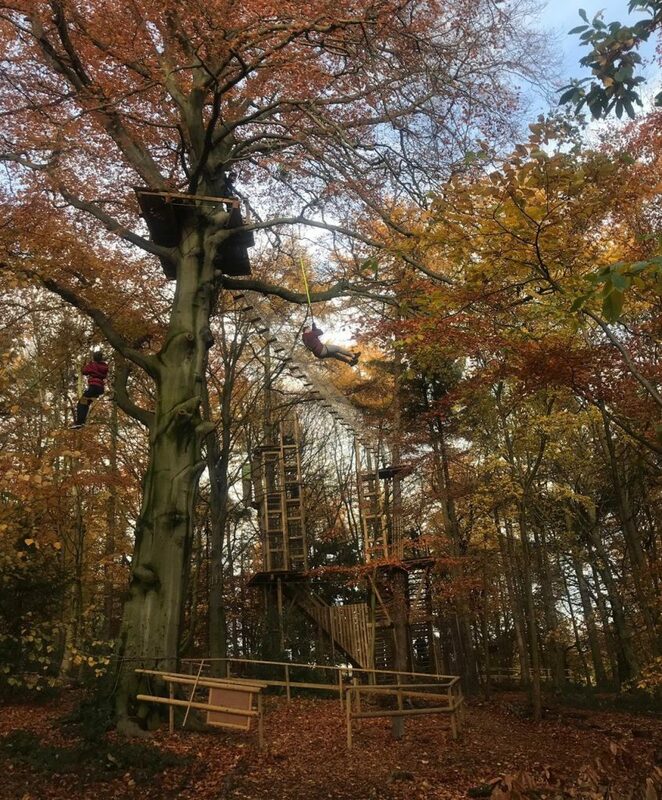 is a tree-top adventure with various locations throughout the UK. If you’ve got a head for heights and like activities that involve your feet off the ground, it’s a fun day out. 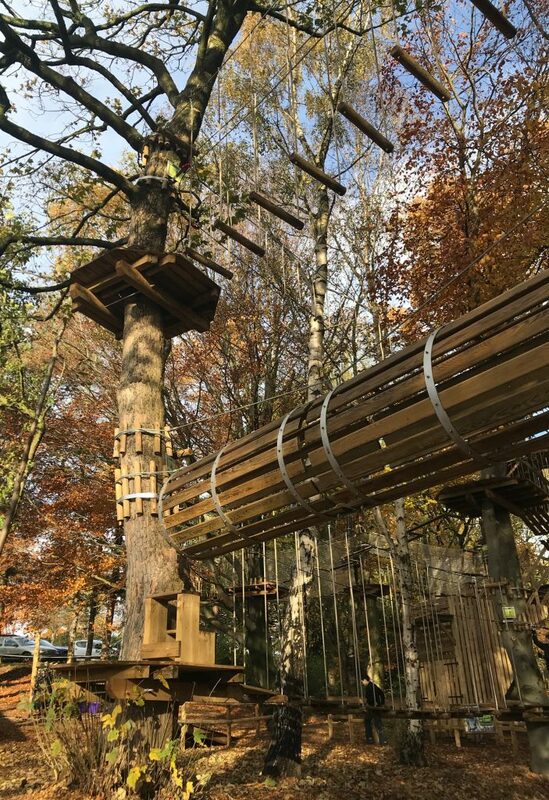 With rope bridges, zip wires and trampoline nets, there’s plenty to keep you busy, swinging through the trees. I knew that there had been talk of building a Go Ape! at Roundhay Park and that the plans had been rejected, but I hadn’t realised that it had been built at Temple Newsam and had been open since May this year. The Go Ape! team invited me to come try out the new course in exchange for a blog post, so of course I said yes. I invited my brother, Dan, and was looking forward to it, but unfortunately I was full of cold (and still am! It’s been going on for four weeks now – please send sympathy and hugs) and so couldn’t go. Dan’s friend Tom stepped up to the challenge and went with him, whilst I watched from the ground, wrapped up in a big coat with plenty of tissues and Lemsip, and went for a walk around the grounds. 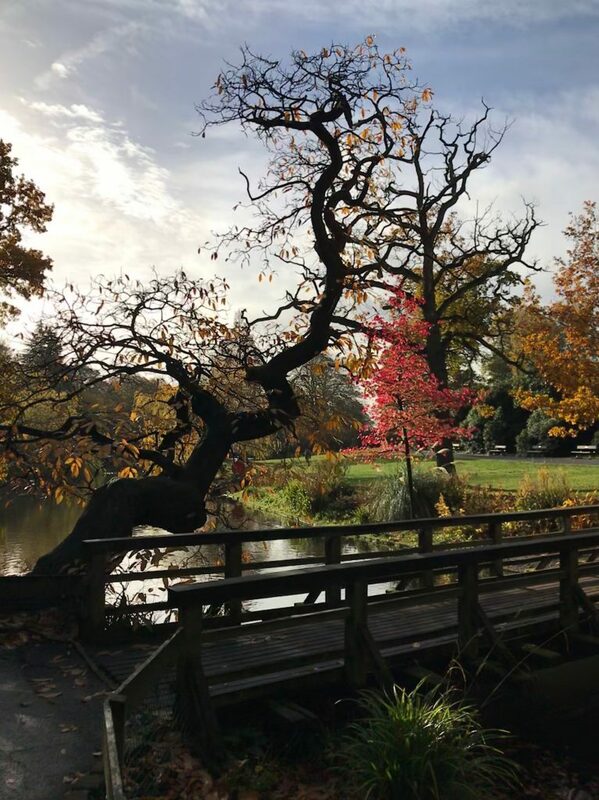 With it being outdoors, I thought it would have been more suited for a summer activity, but actually it was a lovely day and the course looked great in the middle of the autumn leaves. They commented that you felt very safe throughout the course, but still got a good dose of adrenaline and a thrill. The introduction from the Go Ape! staff member at the beginning was thorough and it was obvious where you were going once you were in the tree-tops; it was very easy to follow the trail. Whilst Dan and Tom were in the trees, I went for a walk around the gardens and lake with my sister-in-law and husband (and the babies!). I can’t believe I’d never been to this area of the park before. I’ve been to Temple Newsam a few times, but only ever to the house or when they have events on like the Pretty Muddy 5k or the theatre productions. We went to the cafe afterwards which, although a little pricey, particularly when the coffee was just instant coffee, had a nice selection of snacks as well as baby food and dog treats, and good facilities. It’s free to park at the Go Ape! entrance and some other areas of Temple Newsam, although you have to pay at the car park nearest the house. There’s also a farm with animals that you can walk around (which has an admission price, as does the house.) Dan pointed out that there’s also the weekly Park Run which you could do before doing Go Ape!, if you are a nutter like him. 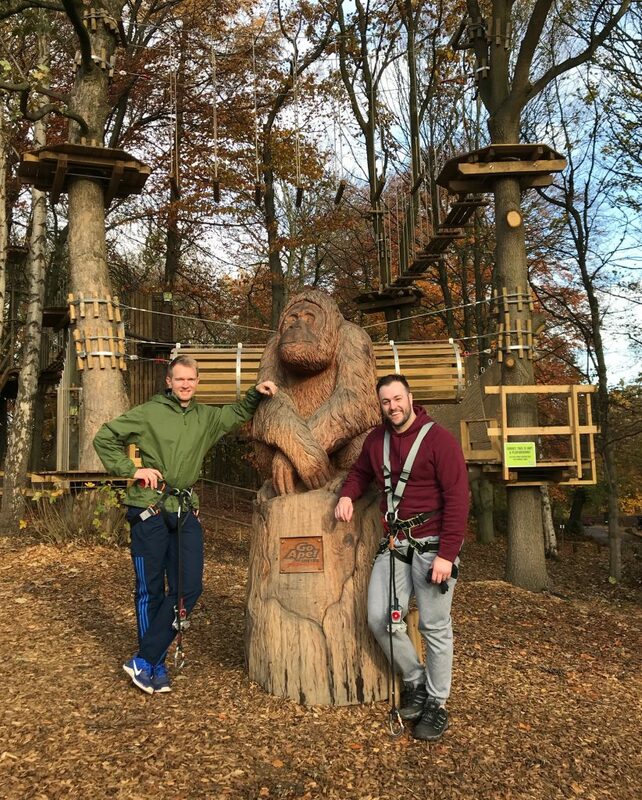 I’ll definitely be recommending Go Ape! at Temple Newsam to friends, particularly if you combine it with a walk in the park and some cake afterwards in the tea rooms. I think it’s a great day out whether you’re with a group of friends, stag or hen do, corporate event or with the family. 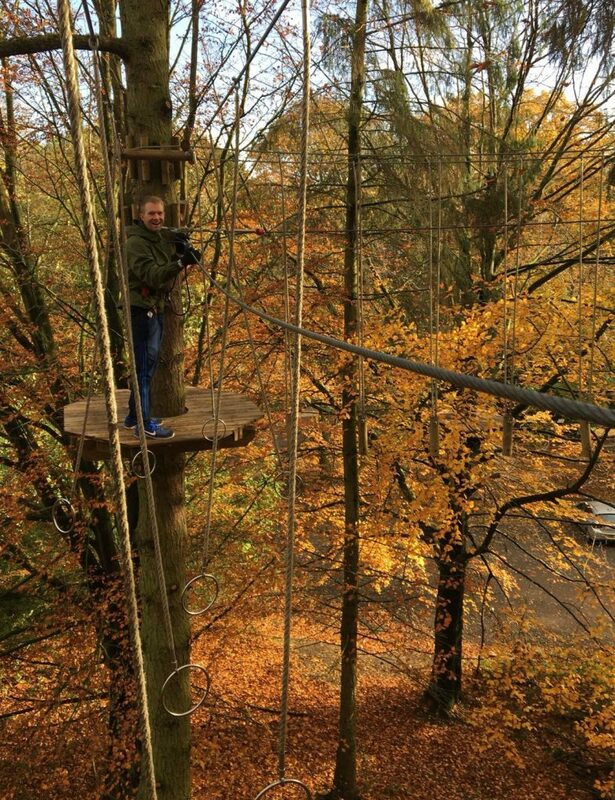 I did one of the Go Ape! trails quite a while ago and enjoyed it but did feel a little bit scared. I remember freezing half way round and just not being able to get my legs to move (my brain was calm and rational but my body was saying NOOO!) I did eventually manage to finish the course and triumphantly fly down the zip wire to the finish. 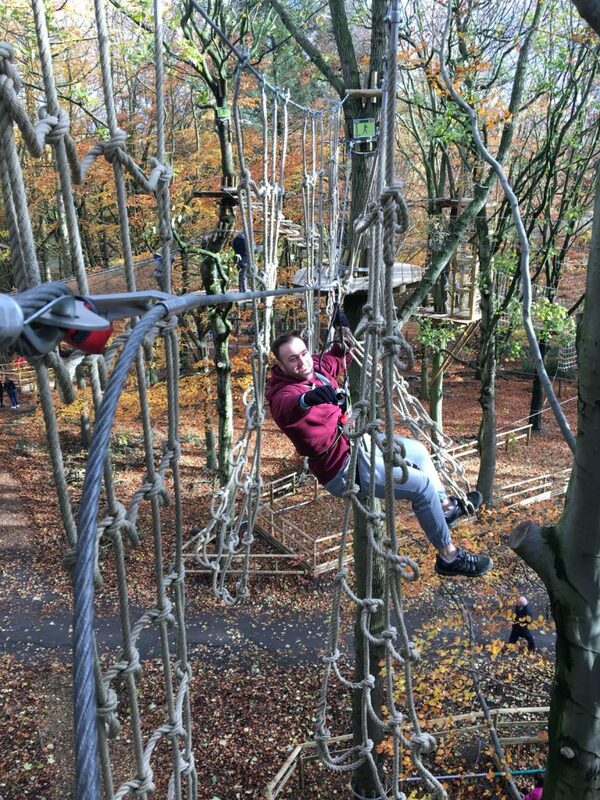 The Leeds Go Ape! sounds much more appealing, knowing that there are different levels you can mix and match. For more information and ticket prices, visit the website. 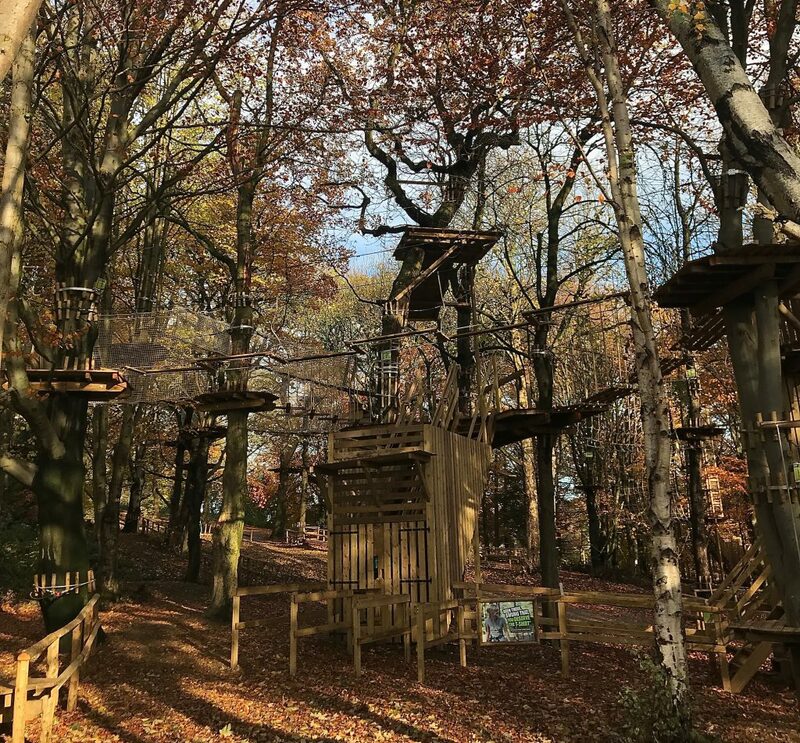 Thank you to Go Ape! for providing me with two free tickets in exchange for an honest review on Loving Leeds Blog. The opinions above are my own (well – my brother’s and Tom’s as well!) and were not influenced by Go Ape!.